A special variety of dried corn that contains a high moisture content. About 14% of the composition of the kernel is water, which creates steam when the kernel is heated. 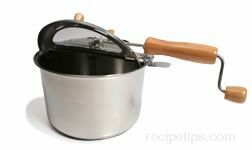 This causes the popcorn kernels to explode and pop open because the steam cannot escape. Popcorn is typically available in white or yellow varieties. 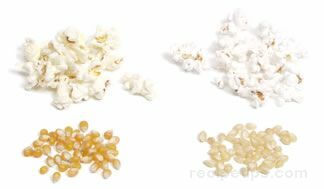 Yellow popcorn has a golden tint and is larger in size, while white popcorn is smaller in size, both as unpopped kernels and when popped. Popcorn is prepared by heating the kernels in a small quantity of cooking oil placed in a heavy skillet or saucepan over high heat. The pan is shaken as the corn pops to keep the corn moving in the pan and to prevent the kernels from burning. When the popping slows significantly, the pan is removed from the heat. The popcorn is eaten plain or it can be seasoned as desired. Although cooking popcorn in a pan over a heat source is still very popular, it is cooked less often with this method due to the popularity and convenience of microwave popcorn. Preparing popcorn the old-fashioned way still has an advantage over microwave popcorn: the home cook can control the quantity of oil and salt that is used. Some varieties of microwave popcorn are loaded with fat and sodium, but careful shoppers will also find a selection of microwave varieties that are low in fat and/or sodium free. Popcorn is very nutritious when eaten plain, but much less so when butter, excess salt, and other toppings are included to add extra flavor. If using a microwave to cook popcorn, make sure the container popping the corn is microwave safe. Do not reheat popped corn in a mircowave as it may burn easily or catch fire. 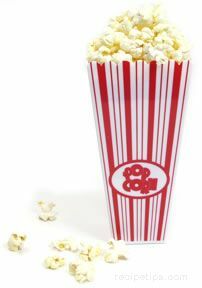 When storing unpopped popcorn, keep kernels in an airtight container at room temperature in a cool dry area. 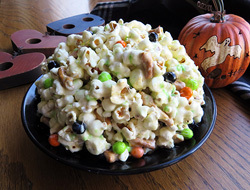 Be careful not to add excess moisture to the kernels, as may occur by keeping popcorn in the refrigerator, since added moisture may keep the kernels from popping. Popped corn can be kept at room temperature in airtight, resealable plastic storage bags. 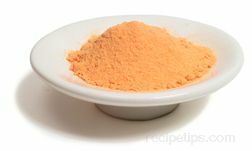 Seasonings that can be served over popcorn include table salt, seasoned salts, dried or finely chopped herbs, dry salad dressing mixes, chili seasonings, grated bits of cheese such as Parmesan or Romano, and powdered cheese mixtures from macoroni and cheese dinners.